Last weekend I took a few vacation days to head out to St. Louis, Mo. I've heard through many a folk that St. Louis is similar to my beloved Cincinnati. Truth. Both cities sit on a river at the state line (the history nerd in me says that means they were very dependent on river trading etc back in their early days). Both cities love their beer & breweries. There are many other striking similarities that aren't really important to my quick travel guide. Anyway, I wanted to pull together a quick list of things you might do if you are ever visiting STL! 1. 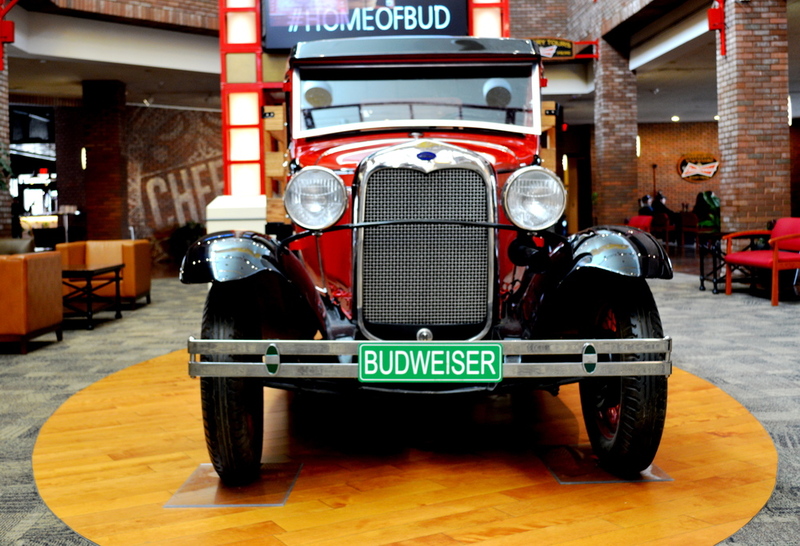 The Budweiser Brewery Tour: I was staying in Soulard (a neighborhood just a mile or two away from downtown filled with young people & a lot of bars) which is home to the Anheuser Busch Brewery. We were so close that every morning I woke up to the smell of hops & yeast! We went on the free Budweiser Tour (which I think runs every hour). It was so fun & informative & included a free drink at the end. 2. Ballpark Village: Just behind the ballpark downtown St. Louis has built an amazing hub of indoor bars, restaurants & entertainment (similar to The Banks in Cincy... but indoors). There is live music every weekend, huge tv's (think Fountain Square) to watch away games & plenty of space to grab a drink with friends. 3. Soulard Coffee Garden: After a night of beverages in the bars of Soulard, nothing sounds better than breakfast, am I right? Soulard Coffee Garden hit the spot. It's a local treasure with quick service & a homey atmosphere. There were so many breakfast options I had a hard time choosing. Oh, & the mimosas come with your own mini bottle of champagne. 4. Mardi Gras: The source of our trip was the St. Louis Mardi Gras. I've heard claims that, outside of New Orleans, St. Louis' Mardi Gras is the biggest in the USA. We braved the cold to catch the end of the parade, racked up an enormous number of beads & then joined the party in the streets. Soulard is cool because there are no open container laws (that is a difference from Cincinnati). There were thousands of party-goers lining the streets & bars. You have to go at least once! 5. SLU: We drove through the campus, but I would love to spend more time here on another visit. 6. Gateway Arch: St. Louis is probably best known to outsiders for it's Gateway Arch on the river. Apparently you can go inside, ride to the top & have a phenomenal view of the city. Next time.